Whenever I’m cooking, I love the part when I add garlic. It just fills my kitchen with such a lovely aroma, and makes my mouth water like crazy. And I have a secret for getting only the best-tasting garlic: I grow it at home! The thing about garlic is that it’s good in so many different ways. Not only does it add mouth-watering flavor to your favorite dishes (so versatile! ), it’s also useful for a wide variety of natural health remedies. You don’t have to decide what you’ll be using your homegrown garlic for; trust me, it will always come in handy. Garlic is a tried and true immune-boosting superfood. Research shows that people taking a daily garlic supplement can reduce their likelihood of catching colds and flus by a whopping 63%. Additionally, garlic is useful in treating stubborn Staph and strep infections. Many people also make their own garlic oil to help speed up the treatment of ear infections. When you eat garlic with other foods, it helps your body deal with cholesterol better, and prevent it from being stored up. This will significantly lower your risk of heart disease and stroke. Garlic is also great for individuals suffering with high blood pressure. Eating garlic daily can lower hypertension by up to 8%. Researchers have discovered that the more garlic a person eats as a regular part of their diet, the more they can reduce their risk of stomach cancer, colorectal cancer, and liver cancer. See the full health benefits of garlic here. Thankfully, garlic is not at all difficult to garden at home. Whether you have space for just a few plants, or have an outdoor garden that will accommodate your yearly supply, you’ll do well to add this wonderful herb to your green thumb repertoire. Remember, you should only plant organic garlic cloves. Not only is this much better for your health, but non-organic garlic from supermarkets is often chemically treated to stop it from sprouting well when planted (eww). 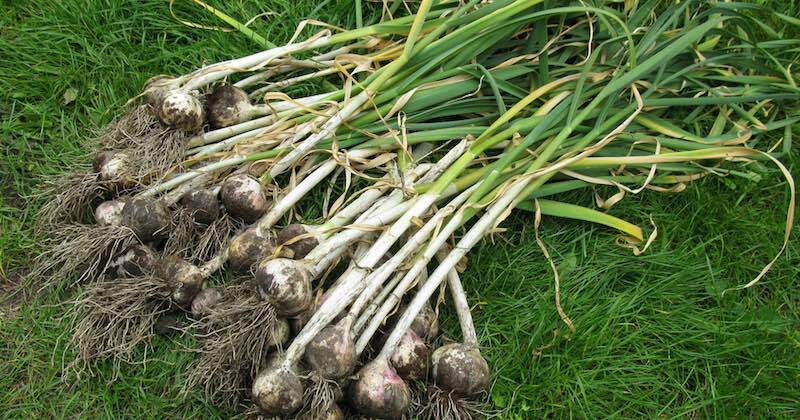 That being said, here’s a step-by-step guide for gleaning your very own garlic at home! Use the right soil: loose and fertile. Top your soil with 2-3 inches of organic matter. Make shallow furrows 6 inches apart. Break apart a large head of garlic. Set aside only the biggest cloves for planting, and use the smaller ones for your cooking or natural medicine. Plant cloves 2 inches deep, and 4 inches apart in the furrows. Make sure the pointier end of the clove is facing up. Fill in the holes with dirt, then water well. You can add some dead leaves or compost as well. Then you wait. 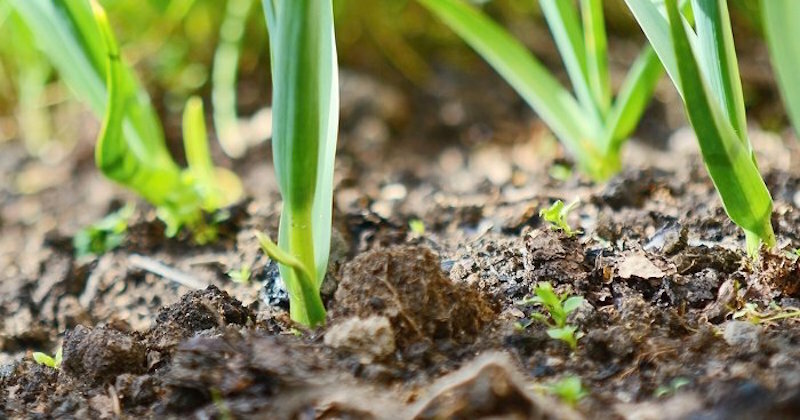 In spring (or whenever your plants start popping up), fertilize your garlic plants. Water them when the soil feels dry an inch below the surface (they won’t need much) and clip off any flowers that grow. Keep track of how many leaves each plant has. When they reach 5 or 6 green leaves, it’s time to pull them up. You can eat your harvest right away, or if you choose to store them for later on, clean them, hang them in a cool and dry place, and then store them in a dark, well-ventilated spot. Enjoy!